Posted on January 10, 2018 at 12:19 am. To celebrate the launch of Quickspin’s new online slot game, Pied Piper, House of Jack Casino is giving registered players the chance to claim 20 free spins to use on this hot new title. All you need to do to claim the free spins is head to HouseOfJack.com, make a real money deposit while Pied Piper is still the Game of the Week (dates have not been specified but you can check this information on the House of Jack promotions page) and the 20 free spins will be credited to your account, ready to be used on this action-packed new title. Note: Any winnings made from free spins at House of Jack are capped at $200. 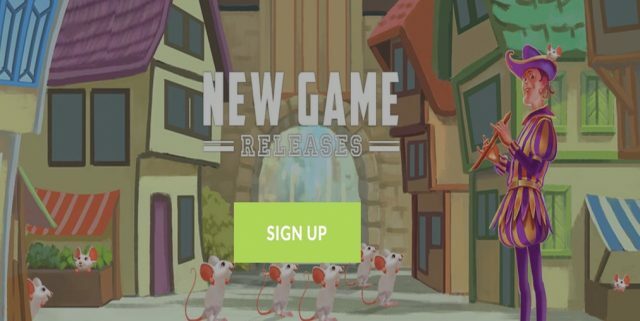 Quickspin is one of the best software developers in the world, and the vibrant new Pied Piper slot game is the perfect example of why these guys are leading the industry. Based on the classic folktale of the Pied Piper of Hamelin who had to use his magic pipe to lure the plague-ridden rats out of the city, Quickspin’s version takes a more cheerful approach. The Pied Piper slot uses pastel colours and bright imagery, with the charismatic Piper playing his spellbinding tunes to lead the mice away. Pied Piper feature a merry soundtrack, with reels set against a backdrop of a medieval village. The five-reel game features scatter symbols, wild symbols, a re-spin feature and a mystery re-trigger feature, so there’s plenty of action to be found. Landing three or more scatter symbols on the reels activates up to ten free spins, where up to six Mouse Wild symbols will be added to the reels at random after every spin for some extra big wins. New to House of Jack? Sign up today and you can claim a new player welcome bonus that includes up to $450 in matched deposit bonuses and 100 wager-free spins to use on selected pokies. 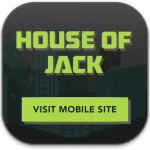 House of Jack not only hosts a huge selection of Quickspin pokies, but also games from other top-rated software studios including BetSoft, IGTEch and Spigo.